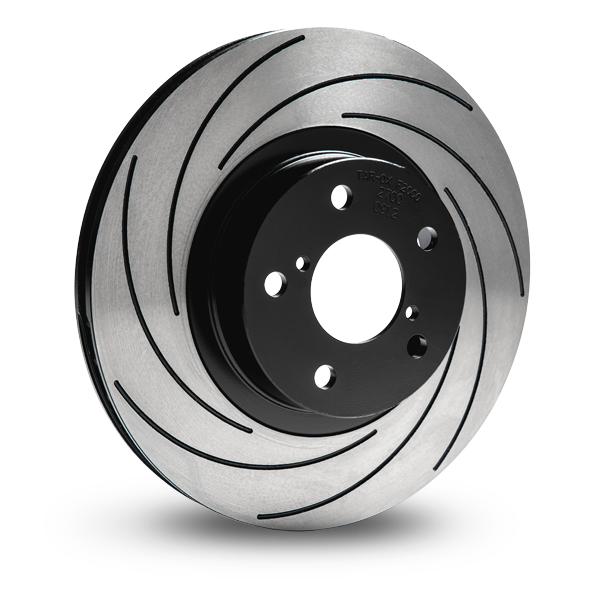 In ’83 we manufactured the world’s first ever slotted brake rotor, which has since been developed into the range of styles that we offer today. Every one of our rotors is manufactured from the highest quality casts and steel billets before being heat treated and balanced by hand for the smoothest possible surface. We always start with the absolute highest quality raw materials. The bare cast iron blanks, that are the foundation of any of all our performance rotors, are always European sourced from the best foundries and, where available, using a cast with the highest possible carbon content. From this base we can then apply processes which we have been perfecting for 33 years. Our first process is always heat treatment; known to offer big improvements to how cast iron behaves. The benefits are great but so is the time-cost and infrastructure involved, and TAROX unique in this approach. Each new application gets a custom designed CNC program for every TAROX rotor design, to ensure any modifications do not affect structural integrity. 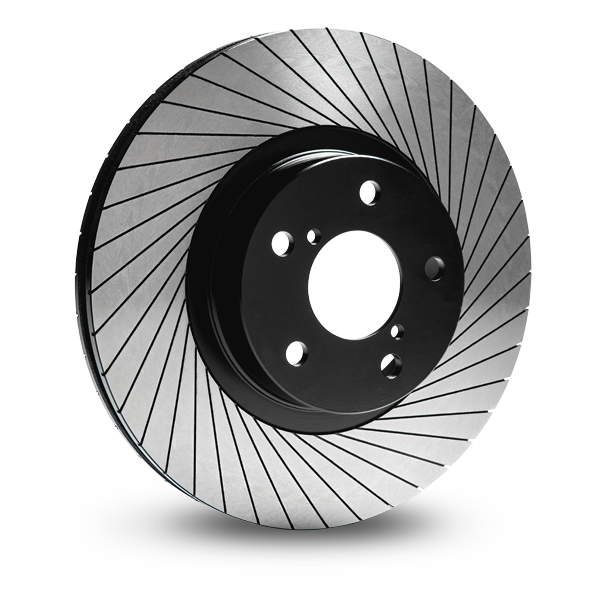 For instance, when designing a program for our Sport Japan brake rotor – which features fully drilled holes – it is essential to not fully drill where a hole may foul an internal structure vane while ensuring as many holes as possible, allowing air to flow in between the channels of the internal cooling structure. This is again a time consuming and costly process and one of the reasons performance rotor manufactures only use a dimple – which does not allow air to move from the surface in to the internal cooling channels. Any drilled hole on a TAROX rotor is countersunk to resist against cracking. Our G88 has a unique look and amazing road performance. It features 40 radial slots on each side of the rotor which are channeled using a custom machine designed and manufactured in house. This allows us to achieve a surface that does not compromise pad life while still offering the performance of a drilled rotor and the structural benefits of a slotted rotor. The final stage and one that really sets a TAROX rotor apart is the hand finishing. Before being shipped, each and every brake rotor is placed on a specialist machine which perfectly balances it to 0.001 – ensuring the flattest disc on the market. The process of achieving a perfectly flat surface not only enables the brake pad to bed in quickly and more effectively, but reduces chances of the rotor developing lateral oscillation (run out). A perfectly machined part with a high shine and oozing quality is just the icing on the cake. Although plain in appearance, the ZERO rotors are far from an original rotor. TAROX Zero rotors are made from special high grade cast blanks, submitted to several levels of heat treatment. An outstanding resistance to high temperatures prevents warping and cracks. The final hand finishing leaves them incredibly smooth allowing them to mate to pads efficiently, increasing life of the rotor and pad. Regular use in international Endurance racing saw the Zero last up to twice as long as a regular plain rotor. 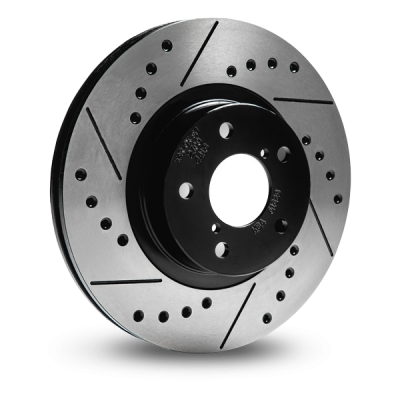 The G88 is the most unique of our brake rotors and is unmistakably TAROX. The reason for this unique appearance is the custom built machinery, designed and made by TAROX to ensure the slots on the G88 are like no other. The G88’s slots feature an edge to edge design, ensuring absolute maximum dissipation of heat, while incorporating a chamfered leading edge, which ensures that the life of the brake pad is not decreased. The unique slots allow the G88 to run cooler than any other performance brake rotor tested against it. Its unique looks and unrivaled performance on the street have led it to be a firm favorite for street tuning since its conception in 1988. As with all of the TAROX performance rotor range, the G88 only uses the highest quality European high carbon TUV approved castings and features the unique TAROX finishing processes of heat treatment for strength and durability, hand finished balancing for a perfectly flat surface allowing for easy bedding-in and a perfect contact patch for maximum braking efficiency and a final, anti-rust treatment. 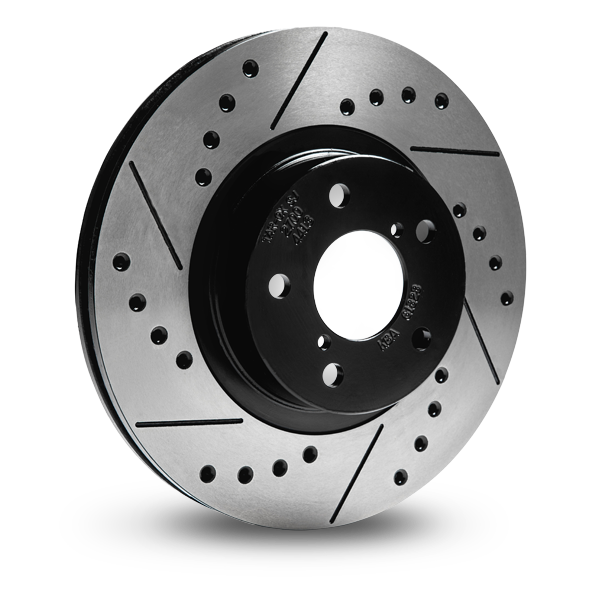 Sport Japan rotors are one of the only aftermarket performance rotors to still feature fully drilled holes, which is one of the most effective ways of venting hot gases from the brake surface. Although effective, this is an aggressive method of dissipating heat. To ensure ultimate performance and durability all Sport Japan rotors feature countersunk holes strategically placed in order not to affect the rotor’s structural integrity. This method is much more effective than a dimple, as the gas actually leaves the rotor surface into the ventilation channels in the rotor center and away from the braking surface, ensuring the rotor runs even cooler for even longer. An additional 6 slots on the braking surface act like a wiper, keeping the brake pad from glazing and removing excess dust while providing additional cooling. All Sport Japan rotors are made from the highest quality high carbon TUV approved castings, and feature our unique finishing processes of heat treatment for strength and durability, perfect final balancing to within 0.01mm/0.0004″ for a perfect contact patch and quick bedding-in and a final, anti-rust treatment. The F2000 transcended from a racing specific rotor into the road range. With the big power increases of modern day sport sedans and hot hatchbacks, combined with the increasing popularity of track days, there was a demand for a rotor which could cope with high operating temperatures and grueling conditions. The F2000, first developed for use in touring cars over 15 years ago and often found in the TAROX range of big brake kits, has forged a reputation as the toughest performance aftermarket brake rotor available. Spiral slots are the perfect compromise of cooling and integrity: the F2000 will feature between 7 and 9. As with all TAROX rotors, the F2000 is manufactured using only the highest quality high carbon TUV approved castings and features the unique TAROX heat treatment for strength and durability, final hand balancing for the smoothest finish ensuring perfect contact and a quick bedding-in process and a final, anti-rust treatment. TAROX rotors work even better when coupled with TAROX pads which have been specifically formulated to deliver optimum performance with heat treated rotors.